Can You Vacuum Seal Fresh Herbs? Yes, you can vacuum seal fresh herbs. In fact, it’s the best way to keep them fresh and flavour-rich for months. Storing herbs in a bag or container in the fridge or freezer is not ideal. As long as they are in contact with air, they will wilt and lose their freshness. 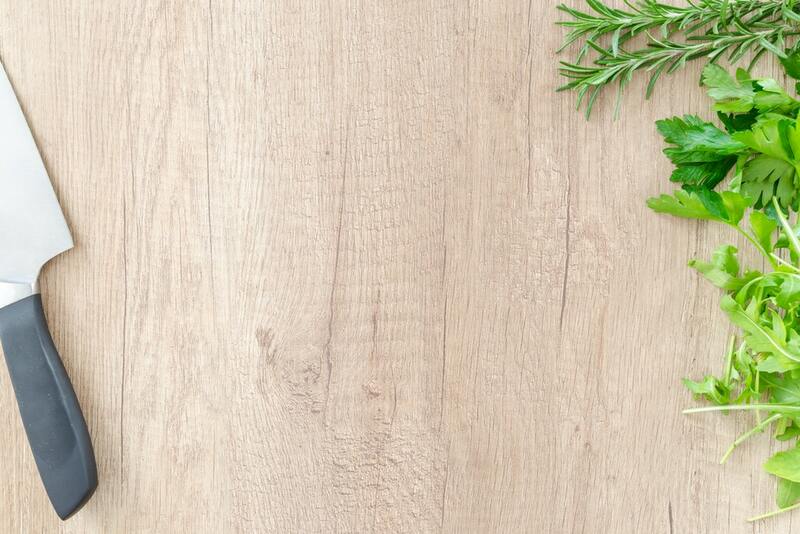 By drawing out virtually all the oxygen and depriving microorganisms of the conditions they need to grow, vacuum sealing keeps herbs perfectly fresh for up to 6 months. Before you even buy the herbs, make sure you have the right vacuum sealer. Check that it has a setting for regulating the amount of vacuuming pressure. Some vacuum sealers like the Aicok Vacuum Sealer have a manual or pulse vacuum button while in others you can select normal or gentle vacuuming mode. This allows you to reduce the vacuuming pressure which prevents the delicate herbs from getting crushed. Here are a few more tips for vacuum sealing fresh herbs. Get them fresh. The fresher they are the better. This ensures that they have plenty of flavour to begin with. Blanch them first. Blanching fresh herbs with delicate leaves such as cilantro, mint and basil helps retain most of their flavour when you vacuum seal them. To blanch, dunk them in boiling water for a few seconds. Take them out and put them in a bowl of ice water. Put the herbs on a surface and pat-dry them with a paper towel. Never vacuum seal and freeze wet herbs. It can lead to mildew and cause the herbs to turn soggy. Vacuum seal them in portions. Do not put all the herbs in one large vacuum sealer bag. This is wasteful and will reduce their shelf life since you have to keep resealing them. Instead, vacuum seal each herb in small portions, just enough for a single cooking. Don’t forget to label each bag in case you forget what you put inside or someone else needs to identify the herbs. Freeze them immediately. If you are using the herbs in 1-2 days, you can just put them in the fridge. But for longer term storage, always freeze the herbs. It allows the herbs to retain their flavour and freshness. How Long Can I Store Vacuum Sealed Herbs? If you put them in the fridge, use them within a couple of days before they start to wilt. If you freeze them in your fridge freezer, they will stay fresh for around 6 months. After that, they will start losing their flavour and could get discoloured. Note: We are talking about fresh herbs here. Dried leaves and grounded herbs can last between 1 and 3 years without losing their flavour. Should I Thaw Frozen Herbs? When you are ready to use your vacuum sealed herbs, it’s best not to thaw them. While it will not kill nutrients or reduce the flavour, thawing causes wilting. The herbs will not look and feel as crispy and fresh. Just use them as they are. Chop them up for use in salads and garnishing or throw them whole in stews or baking meats.